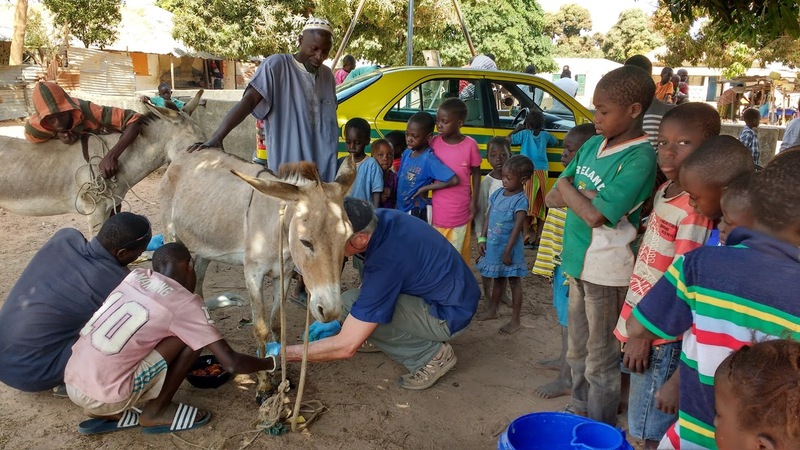 In February 2018 BEVA Volunteers were sent to the Gambian Horse and Donkey Trust to help provide veterinary care and education. The volunteers tell us how they got on. The UK registered equine charity is managed by Heather Armstrong and runs two stationary veterinary outposts in the small former British colony just north of the equator. The organisation has the vision to reduce rural poverty by increasing productivity of working animals in in the country. Donkeys and horses play an essential role in transportation of goods for the Gambians, and by providing education and veterinary care the charity provide important support to local communities, improving not only the welfare of the animals but of their owners too. On Saturdays volunteer students - “the Animal Advocates“ - regularly visit the clinic and get training on various veterinary or husbandry subjects – and then go back to their villages and schools to spread their knowledge. Heather believes passionately in education in order to improve animal welfare and the student’s enthusiasm and passion was very evident when they performed dramas for us to show what they had learnt about harnessing or wound care and how equines were sentient beings that deserved respect.